Use the links below to filter the list of organisations by country and/or activity. Apply for funds for a war memorial project? Contribute to the recording of war memorials? Discover how to research people commemorated? Find out more about war memorials? Get involved with caring for war memorials? Help protect and List war memorials? ALGAO represents archaeologists working for local authorities and addresses a wide range of issues and concerns relating to the historic environment, including war memorials. Individual local authority archaeologists may also hold records on individual war memorials, and can be approached for further information. ALGAO works both at UK and national level and represents archaeologists working for local authorities across England, Scotland and Wales. At a UK-wide level, a network of subject committees considers and advises on specific areas: Historic Environment Records, Sites and Monuments Records, Planning and Legislation, Countryside, Urban, Maritime, and European issues. For some issues, implementation varies at national level and falls within the remit of individual associations for England, Scotland and Cymru. Visit ALGAO's website for more information. Cadw has a Memorials Grant Scheme to help with the repair and conservation of war memorials in Wales. Visit CADW's website for more information. Church Care is encouraging the restoration of war memorials in time for the centenary and offers advice about commemoration services and ownership of war memorials. Church Care is the buildings division of the Church of England. It is a national resource providing support and advice for all parishes, dioceses and cathedrals caring for their buildings. They are a partner in the First World War Centenary Cathedral Repairs Fund. Visit Church Care's website for more information. Over the four year centenary period, Civic Voice will be creating a network of volunteers, helping them to build the skills they need to assess the condition of war memorials and encourage their conservation. Civic Voice is the national charity for the civic movement in England, working at national, city and local levels to make the places where everyone lives more attractive, enjoyable and distinctive. They support local groups and communities through campaigning and advocacy. Visit Civic Voice's website for more information. The Commonwealth War Graves Commission (CWGC) commemorates the 1.7 million men and women of the Commonwealth forces who died in the two world wars. They care for their graves or commemorate them on memorials to the missing. The CWGC casualty database records the details of Commonwealth war dead so that their place of burial or commemoration can be located in cemeteries or memorials in some 153 countries, from Albania to Zimbabwe. It also records the details of 67,000 Commonwealth civilians who died “as a result of enemy action” in the Second World War. Visit CWGC's website for more information. The Council for British Archaeology has launched a First World War community project providing an online toolkit for local people to record places associated with Britain’s 1914-18 Home Front. The Council for British Archaeology (CBA) is an educational charity working throughout the UK to involve people in archaeology and to promote the appreciation and care of the historic environment. CBA is also working with Cadw, Historic England, Historic Scotland and partners across the UK to help local people to document and preserve local stories and vulnerable remains, for future generations. This local knowledge will appear on a UK-wide map of sites and projects, helping better understanding of the legacy of WWI on the UK landscape. This data will also contribute to the UK’s national and local archaeological records to inform planning decisions and help to safeguard WWI remains for future generations. Visit the Council for British Archaeology's website for more information. The Department for Culture Media and Sport has made a £5 million fund available over the four year period of the First World War Centenary for the conservation and protection of war memorials. 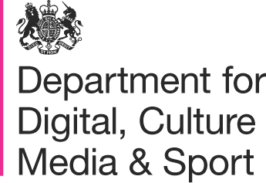 The Department for Culture Media and Sport (DCMS) is the government department with responsibility for sport and culture in England, and some aspects of media throughout the UK. DCMS also has responsibility for the tourism, leisure and creative industries. DCMS has produced a ‘Guide to Engaging Local Communities’ as part of the WWI centenary programme (2014-2018). Funding from DCMS will assist Historic England, Imperial War Museums, War Memorials Trust and Civic Voice with their programmes to record, research, conserve, list and protect war memorials. Visit DCMS's website for more information. DOENI is the environment service for Northern Ireland and one of its main functions is the protection, conservation and promotion of the natural environment and built heritage. Visit DOENI's website for more information. Historic England has pledged to provide better protection for war memorials by tripling the number of war memorials on the National Heritage List for England, by providing training in specialist conservation skills and by developing tools and resources for schools to research their own local memorials. Historic England is the public body that looks after England’s historic environment, championing historic places, helping people understand them, value them and care for them. We manage the National Heritage List for England which includes almost 400,000 items ranging from prehistoric monuments to office blocks, battlefields and parks. We stand up for historic places and ensure that everyone, from individuals and communities to government and major landowners, can look after and care for heritage. Each year we give advice on more than 20,000 applications for planning permission or listed building consent and we help make sure that threats to our heritage are understood, so that policies, effort and investment can be targeted effectively. Visit Historic England's website for more information. A range of Heritage Lottery Fund grant programmes can fund groups and communities to conserve the war memorials they care about whilst helping more people to engage with them. 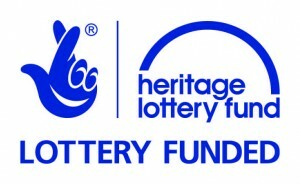 Using money raised through the National Lottery, the Heritage Lottery Fund (HLF) funds projects that make a difference for people – for example, by helping them to learn about their heritage, develop skills or volunteer time. From museums, parks and historic places to archaeology, natural environment and cultural traditions, HLF invests in every part of the UK’s diverse heritage and has a range of heritage grant programmes relating to war memorials. Visit HLF's website for more information. Through the Centenary Memorials Restoration Fund, Historic Scotland supports and promotes the restoration of war memorials in Scotland. Historic Scotland is an executive agency of the Scottish Government, directly responsible for safeguarding Scottish historic environment and promoting its understanding and enjoyment. To mark the 100th anniversary of the outbreak of the First World War the Centenary Memorials Restoration Fund was launched. The fund is available to local communities throughout Scotland to help restore war memorials of all types and dates, and from any conflict. Visit Historic Scotland's website for more information. The Institute of Conservation (Icon) operates a Conservation Register, which is a database of expertise in conservation and restoration in the UK. Icon raises awareness of the cultural, social and economic value of caring for heritage through conservation and preservation. Visit Icon's website for more information. During the centenary 2014 – 2018, Lives of the First World War will become the permanent digital memorial, enabling the public to research and record more than 8 million Life Stories. It continues IWM’s founding vision to record the ‘toil and sacrifice’ of all those who made a contribution during the First World War. Each man or woman from across Britain and the Commonwealth who served in uniform or worked on the home front will have their own Life Story page, where all the information about them can be gathered together in one place. The site provides access to a range of records and resources to help with research. Members can upload images and add information for free. IWM will save the digital memorial for future generations. Visit Lives of the First World War for more information. Mapping the Practice and Profession of Sculpture in Britain and Ireland 1851 – 1951 (Mapping Sculpture) contains over 50,000 records about sculptural practice, including records related to war memorials. Mapping Sculpture is the first authoritative study of sculptors, related businesses and trades investigated in the context of creative collaborations, art infrastructures, professional networks and cultural geographies. This database is the main outcome of the research. The information has been entered so that the numerous connections between different areas of practice can be explored. Visit Mapping Sculpture's website for more information. The National Memorial Arboretum is the UK’s year-round centre of Remembrance, which honours the fallen in a living and lasting memorial. The National Memorial Arboretum (NMA) is managed by the Royal British Legion and commemorates those who have died in the service of their country, all who have served and suffered as a result of conflict, and others who, for specific or appropriate reasons, are commemorated here. It is home to the Armed Forces Memorial which commemorates those who have been killed on duty or as a result of terrorism from the end of the Second World War to the current day. There are over 200 events held here each year, with the Act of Remembrance, including a Silence, observed daily in the Millennium Chapel. Visit the National Memorial Arboretum's website for more information. The Pilgrim Trust funds projects aimed at preserving the fabric of architecturally or historically important buildings, including war memorial conservation projects. The Pilgrim Trust gives grants totalling approximately £2 million each year to charities and other public bodies, where other funding is already in place. Sixty per cent of funding is directed towards projects aimed at preserving the fabric of architecturally or historically important buildings, or projects working to preserve historically significant artefacts or documents. Visit the Pilgrim Trust's website for more information. The Public Monuments and Sculpture Association campaigns for the listing, preservation, protection and restoration of monuments, including war memorials. PMSA aims to heighten public appreciation of Britain’s public sculpture, and to contribute to its preservation, protection and promotion. Since 1997, with grants and donations from the Heritage Lottery Fund and other donors, PMSA has run the National Recording Project survey of public monuments and sculpture in Britain, including war memorials. The results are searchable online. PMSA encourages public awareness of Britain’s monumental heritage – past, present and future – through activities, publications and dialogue. The National Recording Project (NRP) was set up in 1997 with the aim of making a survey of public monuments and sculpture in Britain ranging from Eleanor Crosses to the most contemporary works. With the help of a substantial grant from the Heritage Lottery Fund as well as many other donations from others such as the Henry Moore Foundation, Pilgrim Trust, Regional Arts Boards and charitable foundations, the project spent five years collecting a wealth of information, which was entered on the NRP database. – See more at: http://www.pmsa.org.uk/national-recording-project/#sthash.xQ5gUESG.dpuPMSA encourages public awareness of Britain’s monumental heritage – past, present and future – through activities, publications and dialogue. Visit PMSA's website for more information. Veterans UK holds the records of any soldier who served after 1920 or any officer who served after 1922 as well as Second World War service records. Veterans UK is part of the Ministry of Defence and administers the Armed Forces Pension Schemes, serving around 900,000 members of the Armed Forces community. DBS also administers compensation payments for those injured or bereaved through service and provides a package of welfare support for veterans via a national Veterans Welfare Service and helpline facility. Other services include information about service records, medals and badges. Visit Veterans UK's website for more information. IWM’s War Memorials Register manages the national database of information about war memorials across the UK. 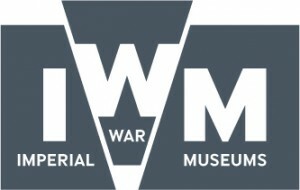 WMR (formerly UK National Inventory of War Memorials / War Memorials Archive) is part of Imperial War Museums. WMR is compiling a comprehensive record of all war memorials in the UK to promote their appreciation, use and preservation. WMR has an online, searchable database of war memorials located throughout the United Kingdom, Channel Islands and Isle of Man. A wide variety of memorials commemorating all wars and peacekeeping are recorded, including community crosses, obelisks and statues as well as less common memorials like bus shelters, sundials, park benches and even an island. The database of memorials is being improved as part of the First World War centenary programme. Visit WMR's website for more information. War Memorials Trust works for the protection and conservation of war memorials in the UK, providing advice and funding. War Memorials Trust is the charity that works for the protection and conservation of war memorials in the UK. It provides advice and information on a wide range of topics relating to war memorials as well as administering grant funding which support repair and conservation projects. It works in partnership with a number of organisations on war memorial projects and funding schemes. It is also a partner in In Memoriam 2014 with the SmartWater Foundation, which offers SmartWater free of charge to war memorial custodians to assist in the prevention of theft. Visit WMT's website for more information.